Anasayfa / Mattresses / How often should we change mattresses and pillows? How often you replace your mattress does not really have a timetable. More than anything, it depends on whether you still have a comfortable sleeping surface or not. Many health issues can stem from a mattress that is long past its prime or is not suitable for the sleeper. If you wake up in the morning with stiffness, or aches and pains it is possible that your mattress isn’t providing the level of support and comfort it needs to. Feeling tired throughout the day and sleeping better in a hotel bed than your own bed are also signs that your mattress might be changed. You shouldn’t forget that you spend one third of your lifetime in bed. It is essential, therefore, that your mattress supports you properly and is healthy for you to live on for a third of your life. You should check the materials used in the mattress and over the mattress. You should be conscious of springs used in the mattress or the foam the mattress made from. The maximum time for changing mattresses is 8 years. After that term of continuous use, your mattress generally loses its support. That is your mattress’s most important function: to support your body while you sleep. When it begins to lose its ability to do that then it is time for you to change it. If you have allergy against dust or if you generally have a body sensitive to allergies, this period should be shorter. Or, if you are using anti-dust and anti allergic mattress and pillow cases you can have longer usage time. The main factor causing mattress changes are dust, mites, fungus, bacteria and wearing and tearing. Is your mattress showing signs of wear and tear? If you can see a visible dip in the middle, or if you can feel the springs through it, then it’s definitely time to change your mattress. The same goes for a noisy mattress too. If it’s creaking, groaning and pinging all night long, then it’s obviously not in a sound condition. * You are uncomfortable when you lie down and wake up tired and achy. * You see visible signs of wear and tear in your mattress. There is sagging or you notice lumps. You can hear the bed springs when you lie down. * You’ve tried rotating it or flipping it, but to no avail. It still doesn’t feel more comfortable. * You suffer from allergies and have had the mattress for a long time. If you have not been using protective, allergy-reducing covers, dust mites could pose a problem. 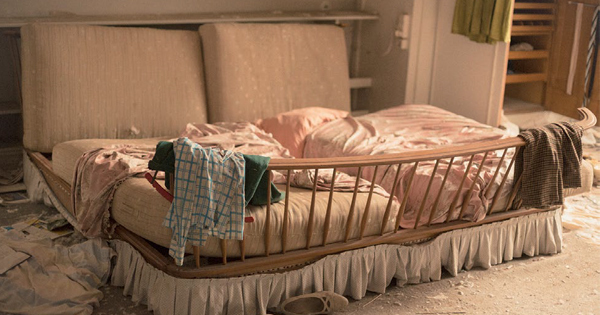 Even the cleanest of beds can have dust mites. There are other ways of addressing the dust mite problem, but it helps to start with a clean, mite-free mattress. Is your mattress older than 8 years old? This is the clincher. 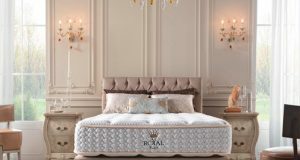 All mattress industry professionals strongly recommend that you replace a mattress every eight years, because by this time it will have lost much of its original comfort and support. The Better Sleep Council recommends replacing your mattress every 7-10 years, depending on comfort and support. The truth is that the life of a mattress varies wildly, which depends on how you take care of it, how you sleep on it and how often you rotate it. 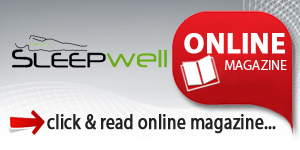 Do you sleep better away? We appreciate that a mattress is hidden under sheets and blankets for most of its life, so it’s not always obvious what condition it’s in, but if it’s starting to give you any of the problems we’ve mentioned then it’s probably time to say goodbye and buy yourself a new one. Apart from performance issues, mattresses also become a hot bed for bacteria to breed and thrive. 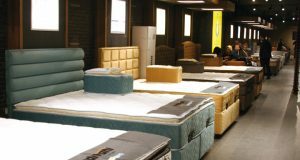 Some researches conducted on mattresses used over 8 continual years have commonly found the existence of mold, yeasts and bacteria. Most of us sweat in our sleep on various degrees, which passes through the bed sheets for sure. We focus on cleaning the sheets and pillows but the mattress keeps becoming a favorable ground for bacterial growth posing health risks. Over the years bacteria and mousd spores build up and we never find out because they are invisible. We can breathe them in and develop illness. People prone to allergies or breathing and skin problems are more at risk in this case. So you must replace any, even the most expensive mattresses, after long years of usage. Ventilate your bedroom well. Keep the windows open in the morning so the room airs out. When washing sheets and ;uilt sets, use a hot wash with temperature of 60 C or more. This is the temperature ideal for killing germs and bacteria. Use a cover or protector to reduce the amount of material that seeps out of the sheets and into the mattress. You can wash and change it regularly for better hygiene. After any warm nights where excessive sweating may have occurred, in the morning, do not make your bed straight away. Leave the duvet uncovered with the sheets exposed. This is a quick way for everything to air and dry, reducing the breeding ground for bacteria and also reducing odors. These tips will ensure that whether it’s a memory foam, latex or air, it will last longer. Normally, mattresses last for around 8 years with good care, and for less without the basic tips mentioned above. The most important thing to remember is good hygiene and basic care is certainly the easiest and effective method for longevity. Innerspring mattresses generally last for at least 8 to 10 years, but this time even can be longer. How soon your mattress wears out depends on many factors. Maybe the foremost consideration is the quality of the mattress you purchase at the very beginning. Without doubt, better-quality mattresses are made from better materials. Many innerspring mattresses are two-sided, which means you can flip them over to distribute the wear and tear. If you do that regularly, you can make your mattress last longer. The weight of those sleeping on the mattress is also a consideration. Heavier users wear out their mattresses sooner. Finally the environment that the mattress is used is a factor to affect the life of a mattress. A dry climate can help the life while a humid region wears out earlier. Traditional innerspring mattresses tend to sag a lot more than memory foam, which means people tend to be more unsatisfied long term. It is claimed that wser satisfaction of innerspring mattress drops below 70% after 6 years. Some people suggest buying a firmer innerspring with minimal padding and adding a mattress topper on top. A firmer innerspring will last longer. There are many different types of foam and combinations, so as with innerspring mattresses, there are no hard and fast rules. A very good memory foam mattress might last anywhere from 10 to 15 years but the average lifespan of a memory foam mattress is 7 years. Buying a quality foam mattress might let you keep it longer. You don’t need to turn over your foam mattress, but you might need to turn it around on the bed, so that the head is where the foot used to be, from time to time to reduce chances of depressions from body weight. Renewal period of mattress dropped to 6 years from 15 to 20 and this effect the growth of the market. 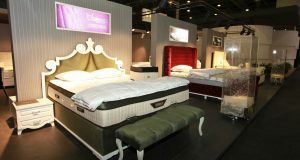 This growth also affects the investment to the mattress sector as well, new generation beds that blended with new technology attract more interest of end consumers with Functionality in bed preferences.